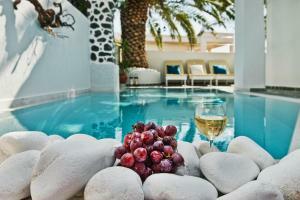 The Galatia Villas (Greek style) is located in a quiet area and 10 minutes walk from the city center of Fira. 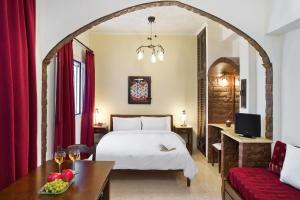 It offers a cozy lounge and spacious rooms with air conditioning. The rooms and the studios are well equipped. The reception remains open from 08: 00 to 21: 00. Guests are kindly requested to inform Galatia Villas of their expected arrival time in advance. Room with private bathroom It offers free Wi-Fi. 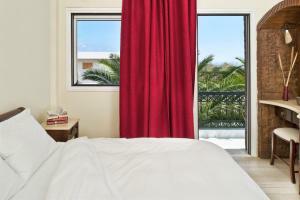 This spacious studio features a dining area, satellite TV and views of the pool or garden. It offers free Wi-Fi. 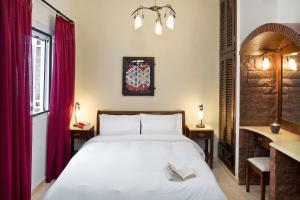 This room is located 30 meters from the main building and offers free WiFi. Apartment with a seating area, 1 bedroom, air conditioning, balcony, 2 flat-screen satellite TV, free Wi-Fi and a kitchenette with a microwave and hob. Attention: the accommodations of this type are located at 30 meters from the main building.